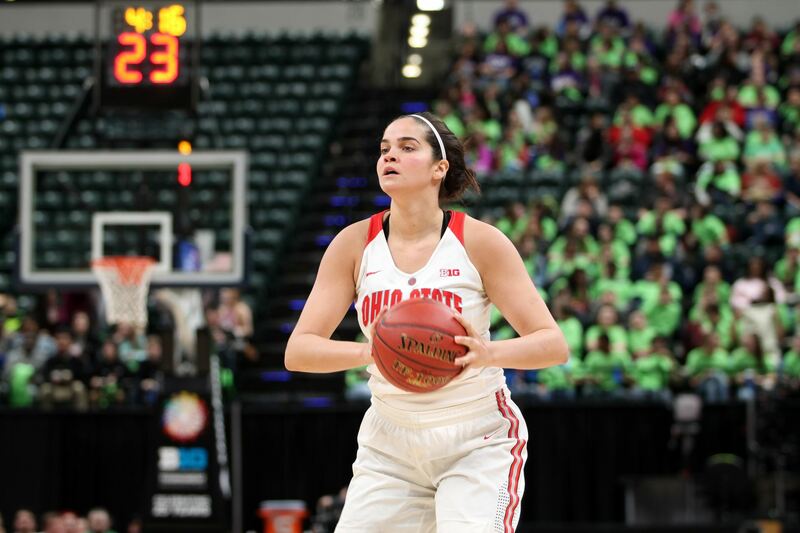 The Ohio State women’s basketball team (1-2) will play North Carolina (5-2) on Thursday for its first game since Nov. 11. The previous two contests, No. 8 Stanford and Sacramento State, were postponed due to the conditions in northern California that resulted from wildfires affecting the area. The Buckeyes are looking to get back in the win column after taking a 32-point loss to UConn in their last game. Ohio State will be facing a fast-paced Tar Heels team coming off a loss to No. 25 Kentucky on Saturday in the Paradise Jam Tournament. Redshirt junior forward Makayla Waterman said North Carolina is still an energetic team that likes to get out on the break. Waterman missed the game last season against the Tar Heels due to injury but expects to play on Thursday. UNC won its previous contest against UCF, a common opponent who the Buckeyes previously lost to in the first game of the season. UNC junior guard Stephanie Watts had a game-high 24 points that day, propelling the Tar Heels to a two-point victory. With the long layoff the Buckeyes have experienced, there have been questions about how ready and sharp Ohio State head coach Kevin McGuff’s team will be for its next matchup. This break isn’t something the players are accustomed to; it is the longest time off from the game that some have ever had during the middle of a season, Waterman said. The Buckeyes will face off against UNC at 7 p.m. on Thursday in Columbus.